INBOX International inc. is specializing in open source web applications with a strong expertise on the XOOPS (http://www.xoops.org) and ImpressCMS (http://www.impresscms.org) platforms. We are providing Professional Services on these Content Management Systems to organizations all around the globe. We can help you with any aspects of your XOOPS or ImpressCMS site: module development, customization, installation, configuration, training, consulting, security, etc… We are also offering developing complete web sites according to our clients specification using these systems. Of course, we can also develop outside of these systems, on any web site using XHTML, CSS, PHP and MySQL technologies. We are also offering premium hosting package as well as a domain management service. 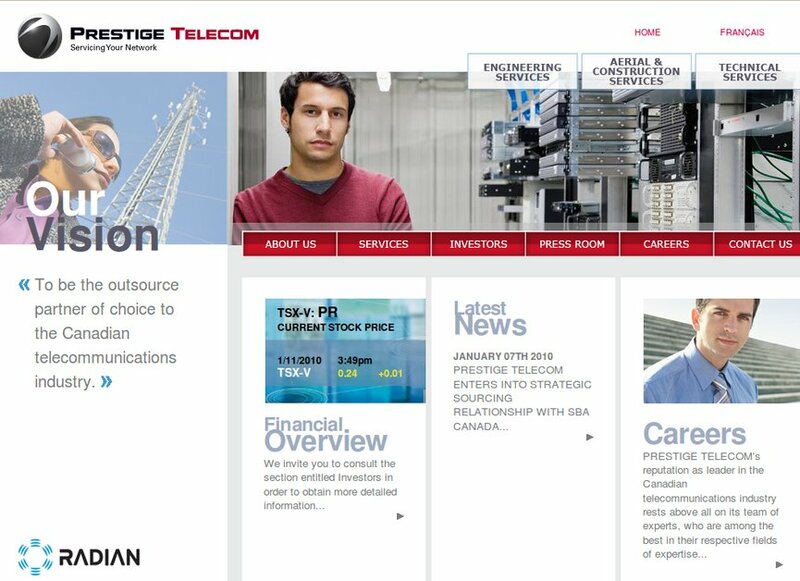 The web site Prestige TELECOM (http://prestigetel.com) was developed by INBOX International inc. in partnership with Zone C marketing communication. Zone C design and strategical communication specialists created every aspect of the design as well as all content.